In a nutshell…here is the new reality of health care. Everyone and I mean everyone in this nation will pay more for less regarding their health care. That’s the only way everyone will get covered. That is what was promised. And millions of Americans fell for it. If anyone wants a good healthcare system, then the answer is simple. Move to Massachusetts that has the Republican Romneycare. They have insurance and if you are willing to pay for it, anything works. From 2006 to 2010 the costs of this insurance program increased 42% (current numbers not available). They closed ever loophole, increased taxes and are now going to allow online poker playing to continue meeting the financial needs of their State. Sounds like a winner to me… Let me know if you need help packing before you call the movers. We have the state and nationwide lotteries, so why not have online poker to pay for it? While we’re at it, let’s legalize prostituion as well so we can gain even more tax money to pay for everyones’ heathcare! The Christian part of the Hebrew-Christian God provides my healthcare, remember? I did a post about this concept a while back, and it wasn’t received very well by the assumed Christian community here at CCN. It goes something like this, who is anyone to argue the point with Jesus in the FACT that He has promised that if one really believes in Him, then what you ask for in prayer, you will receive. Therefore, if I get sick, all I have to do is truly believe in Him, and I will be cured of any malady. So many Christians go against Jesus’ teachings in this respect by purchasing healthcare because they obviously don’t trust Him in His prayer guarantee. Isn’t that ironic? Sad, but true. Amen. Brother Ted, I too shall pray for your speedy recovery so you can keep us all abreast of the righteous way of the light. Stay healthy, as I enjoy my daily mediation with you. Really? Hundreds of millions prayed for JFK and he died anyway. God is not a vending machine, Ted. LOL. These minds can’t argue with that one! Such a deal! Only about 8% per year. Much lower than my Blue Shield increases for the same period. It increased over 30% one year. I had to reduce my coverage and increase my deductible to afford it. So, I wonder who this is targeting. Costco and WalMart offer insurance to their “fulltime” employees. And if ObamaCare is so great why has 20% of the businesses in Nancy Pelosi’s district been exempted for now (mostly high end hotels, eateries, nightclubs, etc), Federally1200 entities including 185 unions are also exempt (Cigna, Dish, Jack In The Box, O’Reily Auto Parts, etc., etc., etc.) , and California will be giving free health care to illegal immigrants. This will be paid for by the taxpayers and you think you are over taxed now, just wait. Walmart has very few full-time employees, pretty much management only. 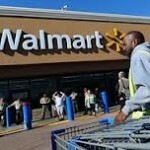 You cannot get a 40hr/week job at Walmart as a cashier, customer assistant or stocker. They keep their line staff in the 20’s per week. This is not a partisan comment, please continue to talk amongst yourselves. “Full Time Employment” will be as rare as an act of civility by Adam Hill if we don’t put a stop to this Obama care train wreck. Your information is absolutely not true as I personally know two stockers that work from 11 pm to 7 am, get $14.00 an hour (annual bonuses) and health insurance. All the stockers on their shift work fulltime! I don’t know how great it is but they do have health insurance and use it. I think you have them confused with Target who have few fulltime employees. However, many companies are considering part time work. The abusers of the Obamacare exemptions seems to be UNIONS and CORPORATIONS, Obama’s buddies! Check it out on Google, List of exemptions for ObamaCare, easy to find. Costco has always paid reasonably high wages to its workforce and offers health benefits to full- and part-time employees. Some corporations do what’s right, they take care of their employees and value quality above all else to have a good rapport with them. They understand that you get what you pay for. Yes, they’re not even union, but they’re doing what is right anyway, just like the unions do with their employees in so many godly ways! Two words about why Costco is where it’s at: Jim Sinegal.